Santo Domingo.- Finance minister Donald Guerrero Ortiz affirmed Fri. that if a foreign investor buys Dominican bonds it’s because of the country’s legal guarantees, a stable securities market and it’s over a decade-long fiscal and exchange stability. “The Dominican securities market is an excellent financing option for companies and the public sector, while serving as a channel for national savings to finance productive activities and receive an adequate return on their investment,” the official said. 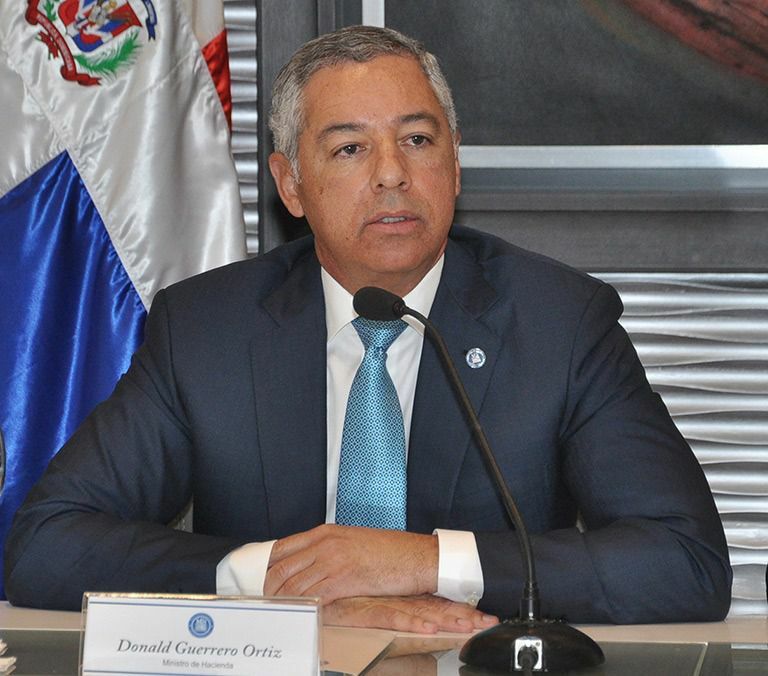 As an example of the purported stability, Guerrero revealed that as of September 2018, Dominican Republic’s securities market holds nearly RD$1.0 trillion (US$20.0 billion) in instruments, or 24% of GDP. Guerrero said the myriad benefits derived from that growth are intimately linked to the legal security and the fiscal and exchange stability. In his opening remarks at the “International Forum of Issuers of the Securities Markets of the Americas: Towards a diversified portfolio of the region,” the official said the dynamism of the market’s main indicators has gone hand in hand with a robust Dominican economy, which he notes as proof of substantial improvements in the last seven years. “Today we see that the Dominican citizen, the small investor, has a safe and affordable option to invest their savings. And we also see that the foreign investor buys our bonds, in the Ministry of Finance, and keeps them for several years,” Guerrero said.